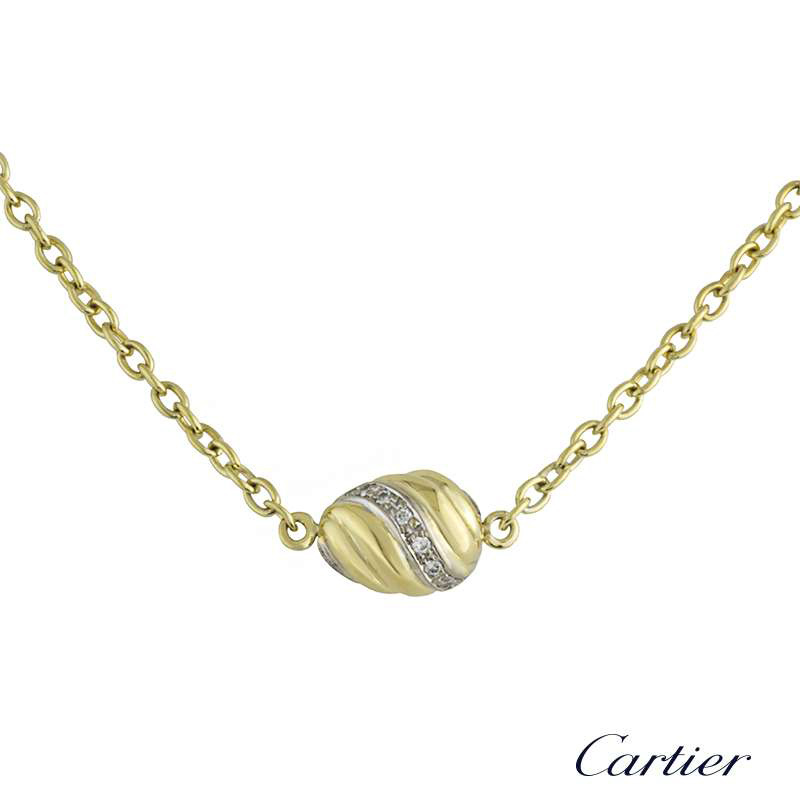 An 18k yellow gold diamond set swirl pendant by Cartier. The pendant is set in an oval swirl design motif and is accentuated with pave set round brilliant cut diamonds set in 18k white gold, running through the centre totalling approximately 0.10ct. 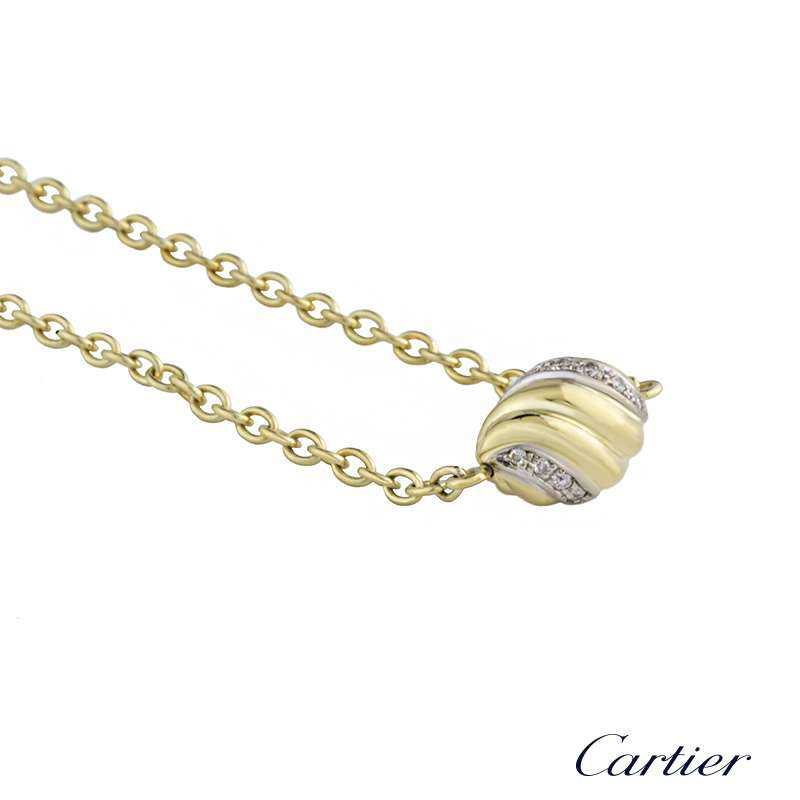 The pendant is suspended from a 15 inch original fine trace link chain and has a gross weight of 7.37 grams. 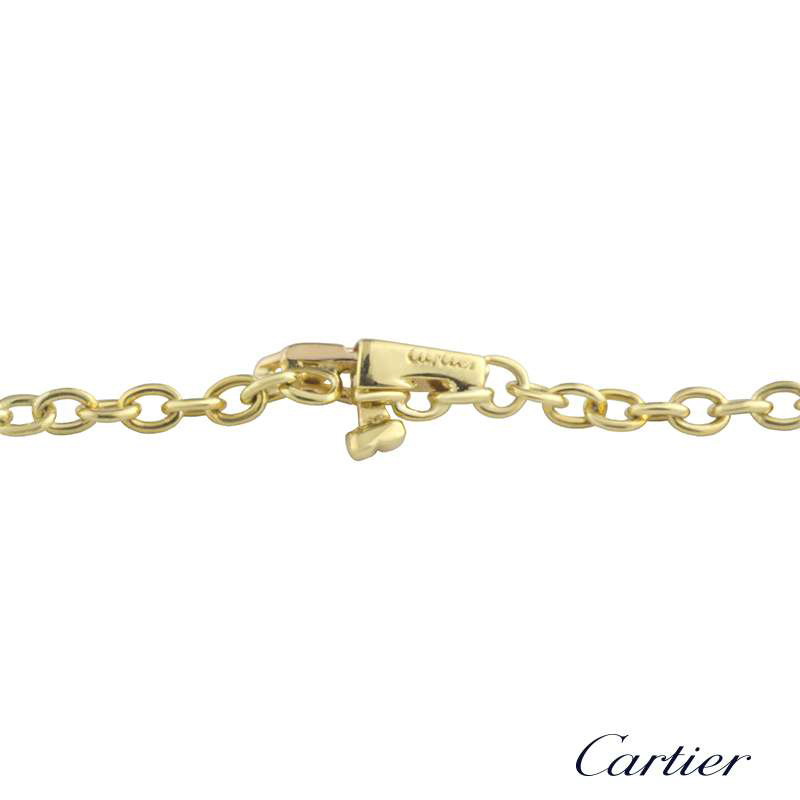 The pendant comes complete with a RichDiamonds presentation box and our own certificate of authenticity.